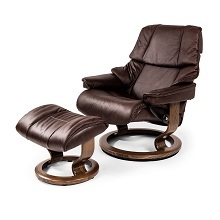 The Reno Large Chair and Ottoman, available in sand Paloma leather with a teak base, is a classic piece in the Stressless collection. 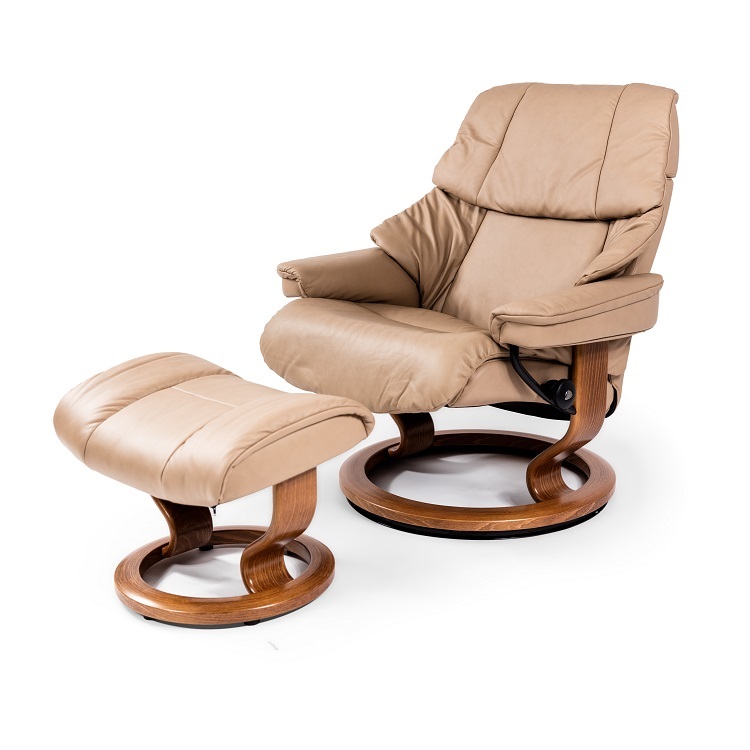 The chair's soft padding and height-adjustable neck support distinguish Reno as a timeless symbol of comfort: supportive, well-designed, and durable. Reno features Stressless Plus and Glide systems, which enable the chair to adjust to the correct head, neck, and lumbar position, as well as accommodate shifts in your seating position based on the movement and weight of the body. 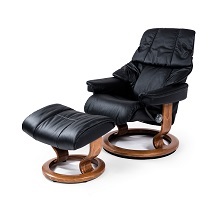 Stressless recliners are endorsed by the American Chiropractic Association. Special order in a wide variety of options.